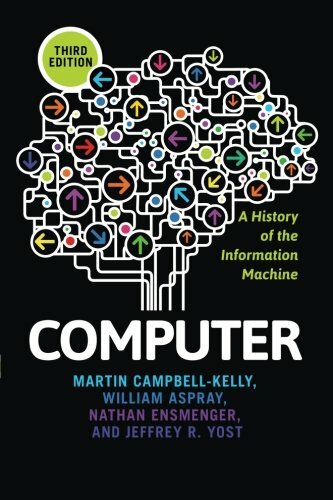 Computer: A History of the Information Machine traces the history of the computer and shows how business and government were the first to explore its unlimited, information-processing potential. Old-fashioned entrepreneurship combined with scientific know-how inspired now famous computer engineers to create the technology that became IBM. Wartime needs drove the giant ENIAC, the first fully electronic computer. Later, the PC enabled modes of computing that liberated people from room-sized, mainframe computers. This third edition provides updated analysis on software and computer networking, including new material on the programming profession, social networking, and mobile computing. It expands its focus on the IT industry with fresh discussion on the rise of Google and Facebook as well as how powerful applications are changing the way we work, consume, learn, and socialize. Computer is an insightful look at the pace of technological advancement and the seamless way computers are integrated into the modern world. Through comprehensive history and accessible writing, Computer is perfect for courses on computer history, technology history, and information and society, as well as a range of courses in the fields of computer science, communications, sociology, and management. If you have any questions about this product by Brand: Westview Press, contact us by completing and submitting the form below. If you are looking for a specif part number, please include it with your message.